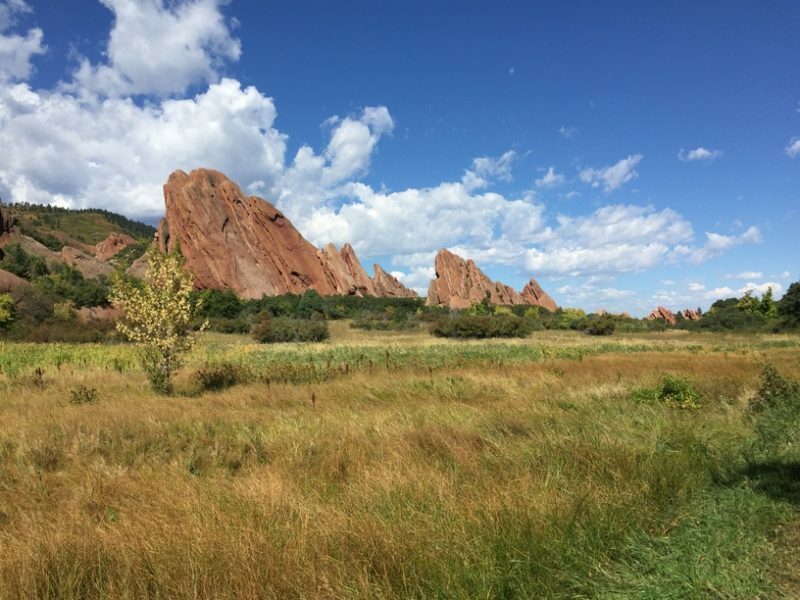 The Will Creek Trail is located within the Roxborough State Park. 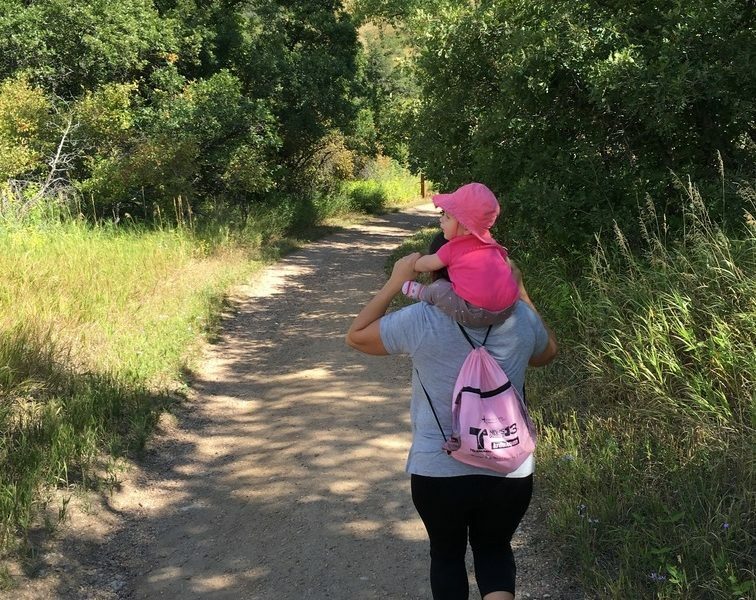 This 1.4 mile loop trail is all-terrain stroller friendly and has great views of rock formations. It can be accessed from the visitor center where bathrooms and water is available. Take Wadsworth south past Chatfield State Park. Turn left on Waterton Road (just before the entrance to Lockheed Martin.) Continue on Waterton Road—crossing the South Platte River, until it ends at North Rampart Range Road (1.6 miles) Turn right (south) on North Rampart Range Road. Continue south past Roxborough Village and the Foothills Water Treatment Plant. 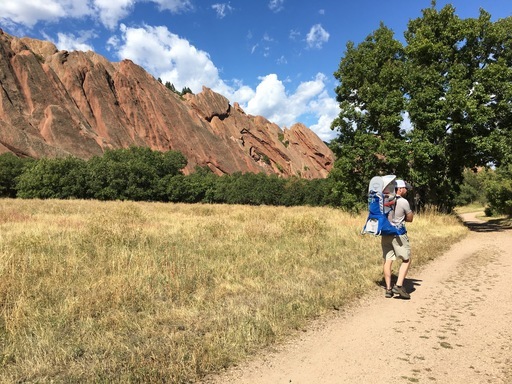 (2.3 miles) At the intersection of North Rampart Range Road and Roxborough Park Road (just before the entrance to Arrowhead golf course), turn left onto Roxborough Park Road. 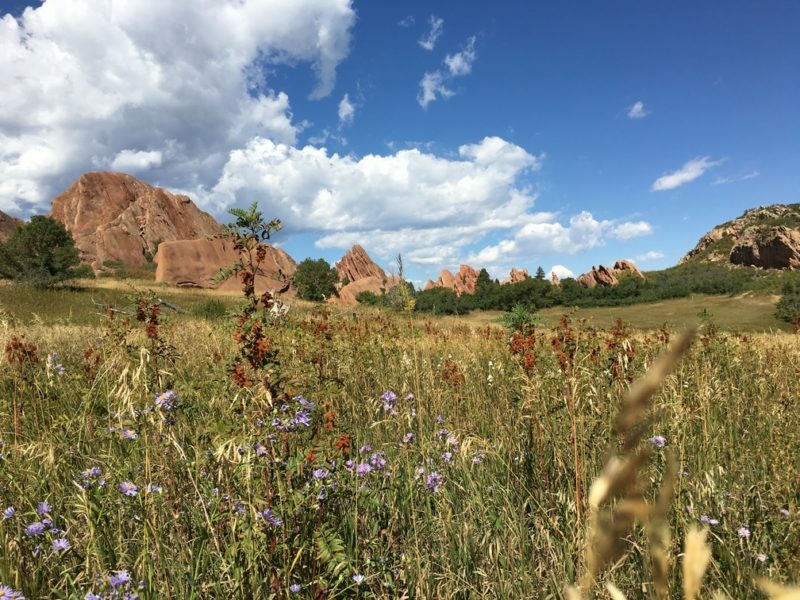 Take the next right on East Roxborough Drive(about 50 yards away) to enter the park.